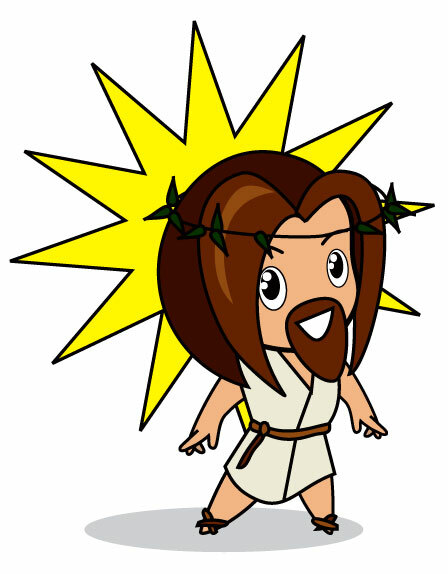 Welcome to my Chibi Jesus page! ^_^ This is a place where Chibi lovers and Jesus lovers all over the world can meet and let both of their passions come together!! We are small right now but we invite you to send in your own artwork to share with other visitors!!! I've been a little while between updates because of a broken arm ;_; but the submissions keep coming in! There's more new pics below and of course you can send me stuff you've drawn! Jesus daisuki desu! (That means "I love Jesus" for all you English speakers out there! ^_^) And wouldn't you, too, if he looked this kawaii? 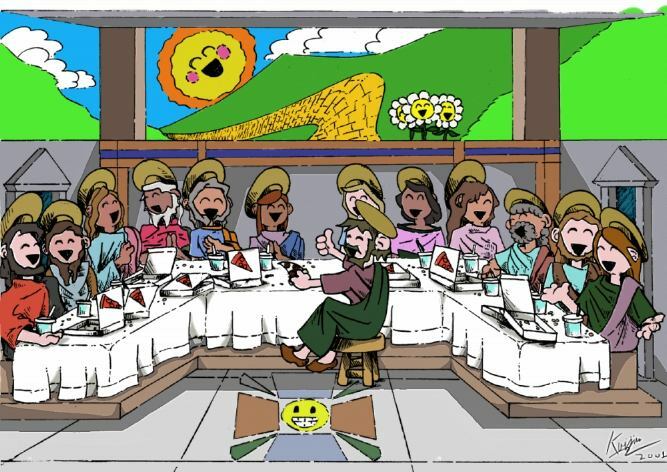 All I can say is, WOW ^_^ Kai has produced a full chibi rendition of "The Last Supper", and it just puts my art to shame! Thanks Kai! 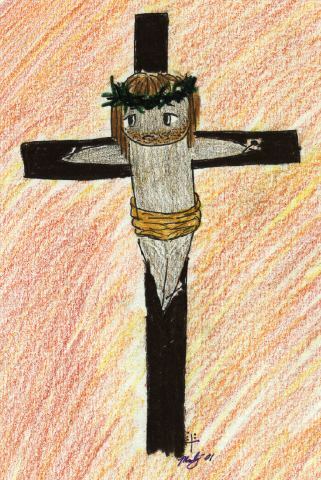 I've also found another site with a Chibi Jesus on it, although it only has one, so I think this is still better ^_^ But if you want to go check it out go to http://www.jdreamer.com/eng_main/index.htm. I think it requires Shockwave Flash though. OK, so I want this page to be a BIG collaborative effort from people all around the Internet! 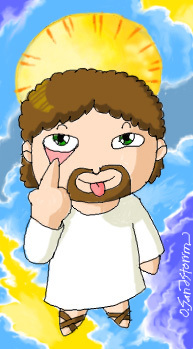 I know that there are lots of talented chibi artists that are "turned on" to Jesus!! So draw something and send it to me and I can post it here!!! Draw Jesus! Obviously draw him chibi style ^_^ or at least the closest you can get if you don't draw chibi much! Now this is supposed to be a page CELEBRATING Jesus so don't draw him getting eaten by crocodiles or anything ^_^ But use your imagination because there's a lot of room for different styles! Save the picture as a GIF or a JPG. (your choice) Make it a reasonable size. Mail it to me: chibijesus@ tomorrowlands-dot org! (*IMPORTANT, SEE BELOW) When I get your picture I will post it on this page! Last major update Jun 17, 2002; last minor update Mar 22, 2007. Scripting and design © 2000-2007 Tad "Baxil" Ramspott.